A lot has changed in Glasgow over the years, mostly for the better in my opinion. One of those things is the quality of takeaway food available. No longer does calling a takeaway mean a choice between a greasy kebab or an average pizza. Now we have choice; delicious and bountiful choice! Having some friends who live in the southside, I’d heard good things about Meat Jam. I was intrigued by a delivery service for burgers. Would they travel well? Would they taste good? When the chance came to try Meat Jam I decided to answer these questions for myself. I’ll go into more detail as I go on but in short the answer was a resounding yes. The first thing that struck me when I opened the bag, other than the great smell that hit me, was the packaging. You can tell that care is taken to protect the burgers so they arrive warm and undamaged. My order was 2 burgers, loaded fries, fried pickles and milkshakes. Lets look at them all in more detail. 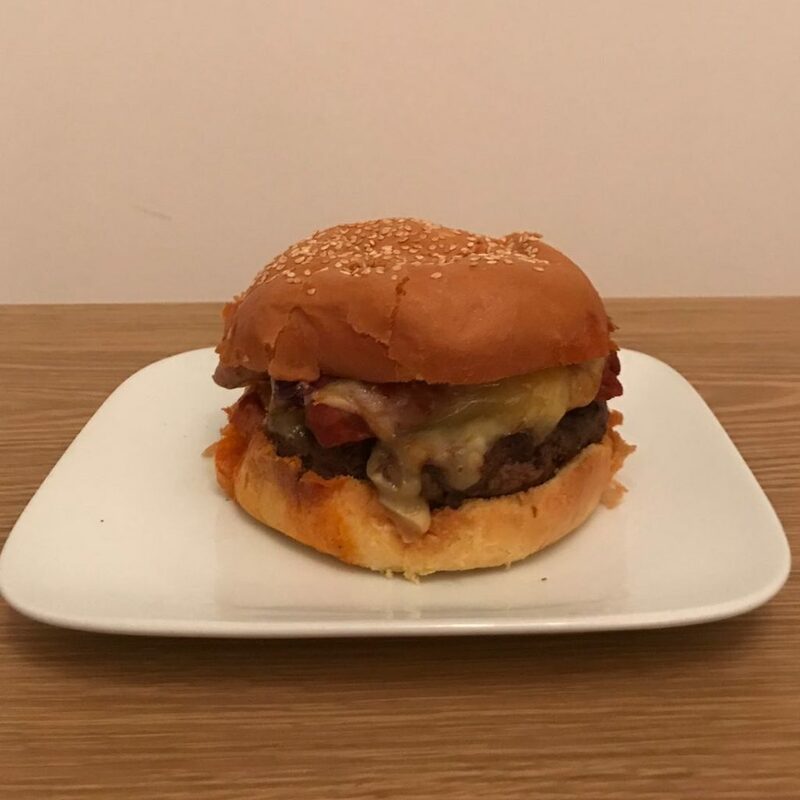 First up was the chorizo burger; beef patty, chorizo sausage, seeded brioche bun, smoked cheddar, paprika mayo and red onion jam. This was a goooooood burger. The beef patty, the integral part, was pretty good. It was thicker than I’d usually go for but it was moist and seasoned well. The chorizo was a whole sausage halved lengthways meaning the flavour was in every bite. Big plus for this guy. What’s not to love about smoked cheddar and paprika mayo? The red onion jam took this to the next level though, it was perfect. Definitely recommend trying this. 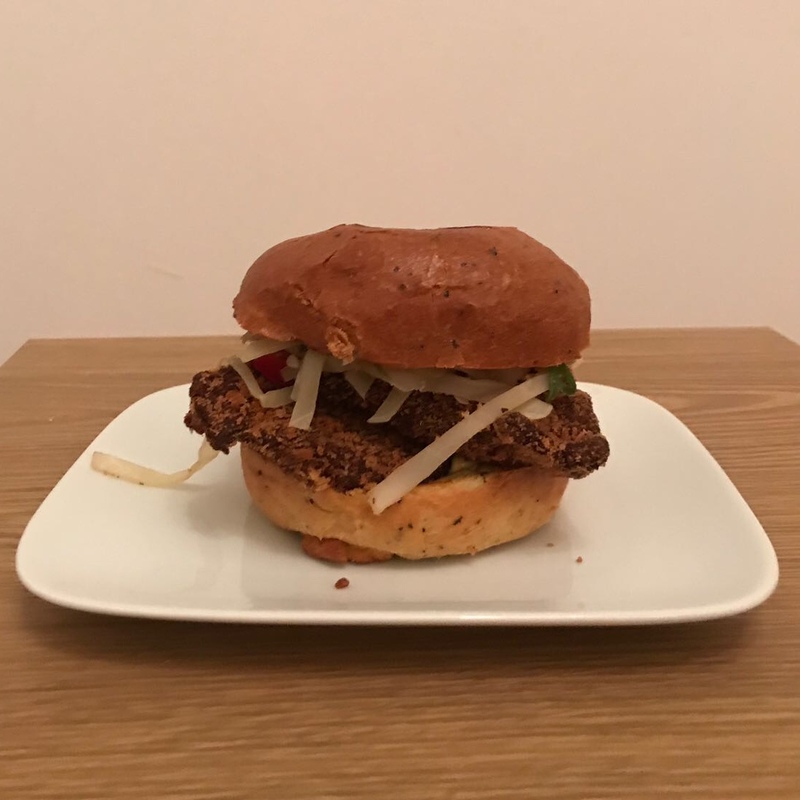 Next up was the chicken katsu burger; chicken breast, peppered brioche bun, katsu curry sauce, fresh chillies, spring onions and shredded cabbage. This one survived the trip better than the first burger and was just as tasty if not more. I’ve been craving a chicken katsu burger since I tried a slider version at Honu’s launch last year. Where to start with this one, the breaded chicken was delicious and the peppered brioche bun was a new take on a favourite of mine. The fresh veg that came with it was also the perfect accompaniment. Everything just worked well, the fresh chillies, spring onion and shredded cabbage gave it a great crunch. And the katsu sauce, well that was more like a katsu mayo and was the perfect topping to this burger. Also recommended! 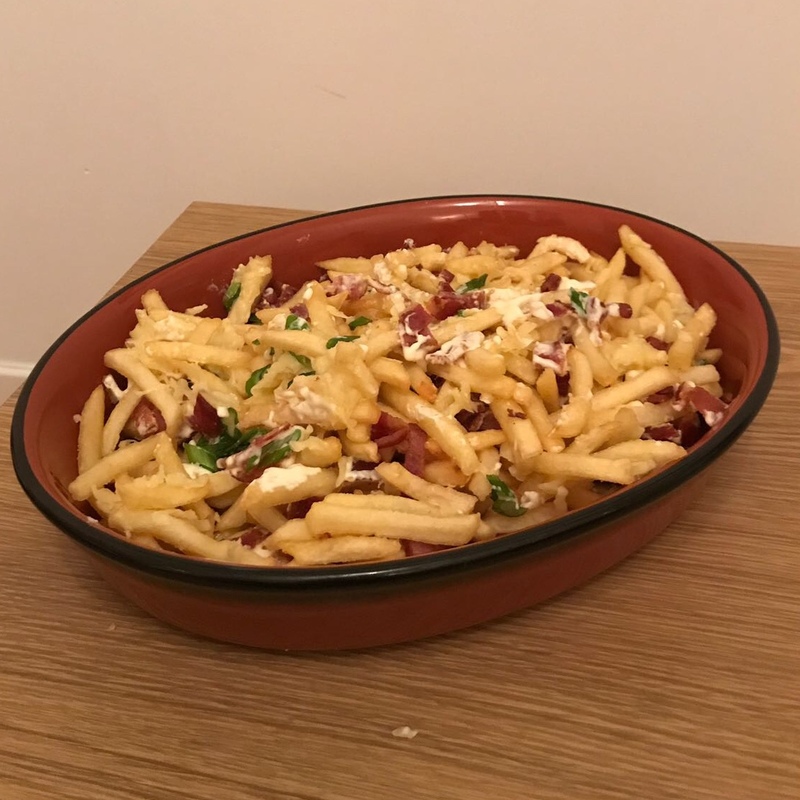 Next up were the loaded fries, we went for the bacon and cheese ones; crispy bacon lardons, mature cheddar cheese, sour cream and spring onions. Certainly no skimping here and the portion was more than generous for two people. When it comes to chips I have to say my preference is usually for thick cut rather than fries. My only real complaint regarding the fries was I felt they could have been seasoned more. That said, seasoning is subjective and what might not be enough for me may be too much for someone else. The toppings on the fries were good and I enjoyed the combination of the bacon, cheese and spring onions. The sour cream was also a nice touch and a little different from the usual mayo or aioli. Last but certainly not least in the food stakes were the fried pickles with hot and spicy mayo. 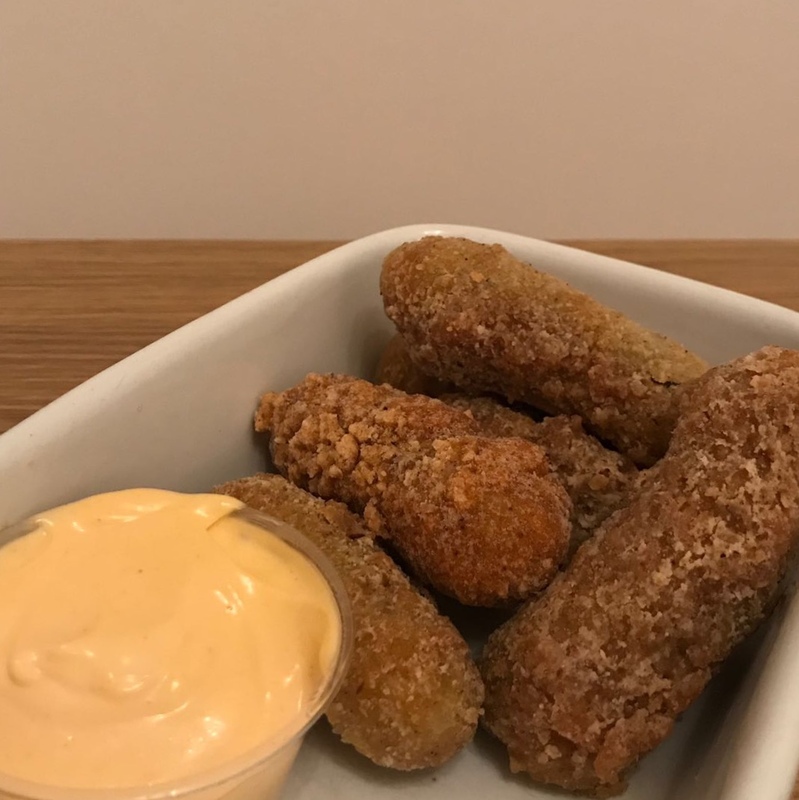 I really enjoyed these but then deep frying anything is generally going to well received by me. They were a bit messy to eat, and the batter came off at times when dipped in the hot and spicy mayo but that didn’t bother me at all. The hot and spicy mayo itself was great and had a nice little kick to it. If you like fried pickles then my money is on you enjoying these. 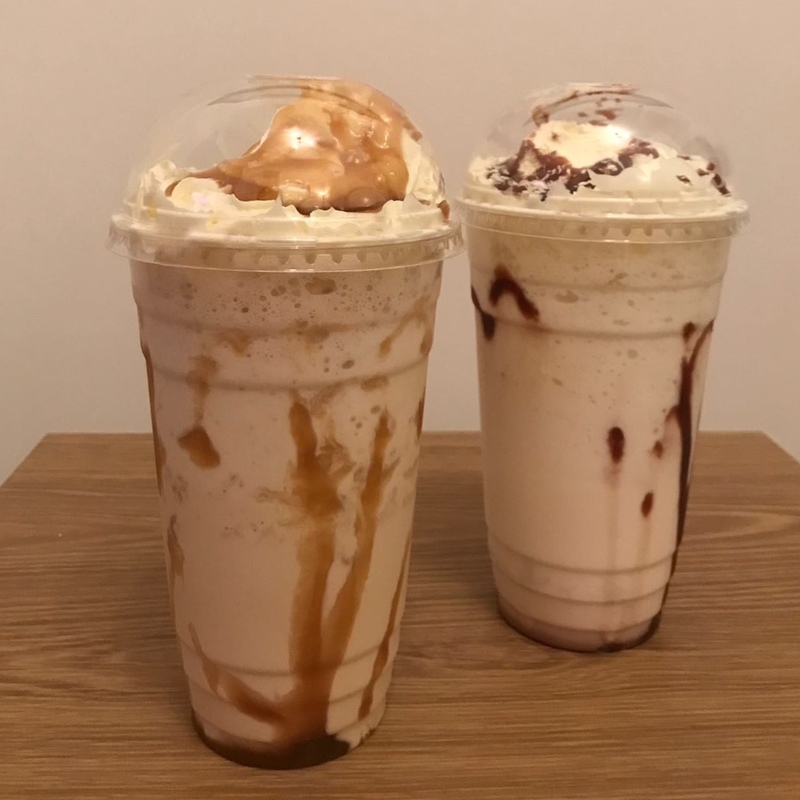 Now normally I’m not a fan of milkshakes, but when I seen a salted caramel one on the menu I figured why not give it a try. This is probably one of the best milkshakes I’ve ever had. The best description of it I can give is that it tasted like a hot caramel sundae from McDonalds. I loved these as a child and this milkshake took me right back there, it really was delicious. Definitely recommended. My girlfriend also got a Bounty one which I can confirm was also pretty damn tasty! 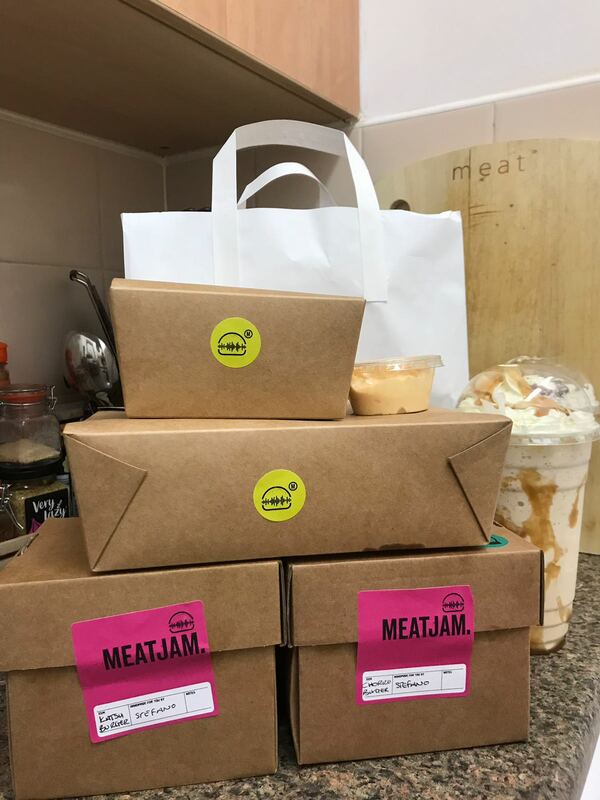 I’d certainly order from Meat jam again, it’s definitely one of the best dinners I’ve had delivered to my couch. It’s also very reasonably priced, all of this came to a total of £35 and also arrived with a couple of complimentary brownies which was a nice touch. 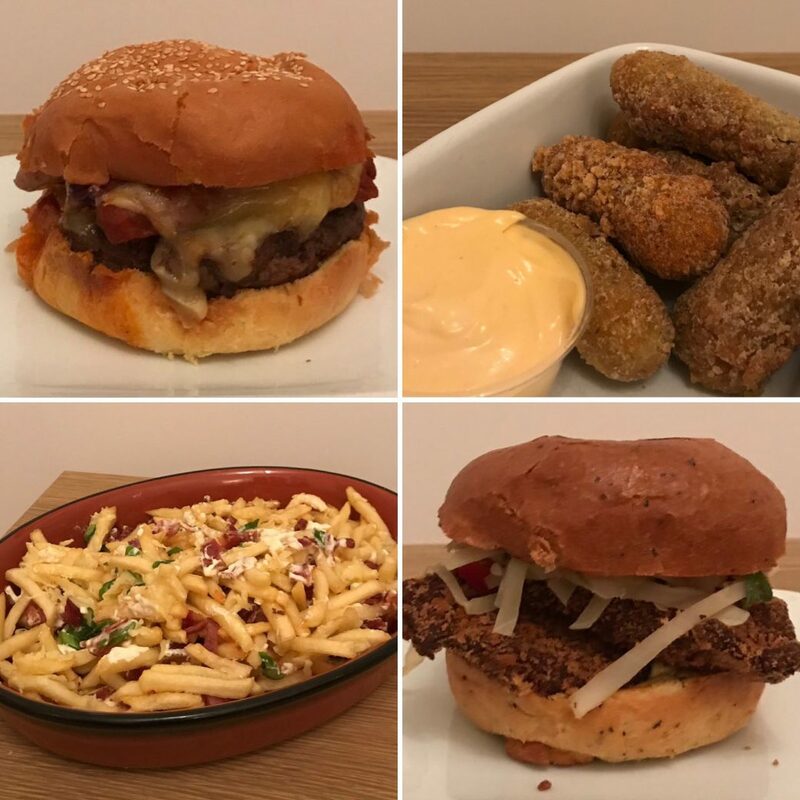 If you’re bored of the same old same old when it comes to takeaway and like your burgers then check out Meat Jam!